If you hate shopping for your ever-growing child every season - or worse, they hate everything you buy them, thus creating morning routine blowouts - Walmart and KIDBOX, a clothing subscription service for kids, are here to help. The two have partnered to bring parents four to five affordable, trendy, and practical clothing items for kids in boxes tailored to their child specifically - for just $48 a box. 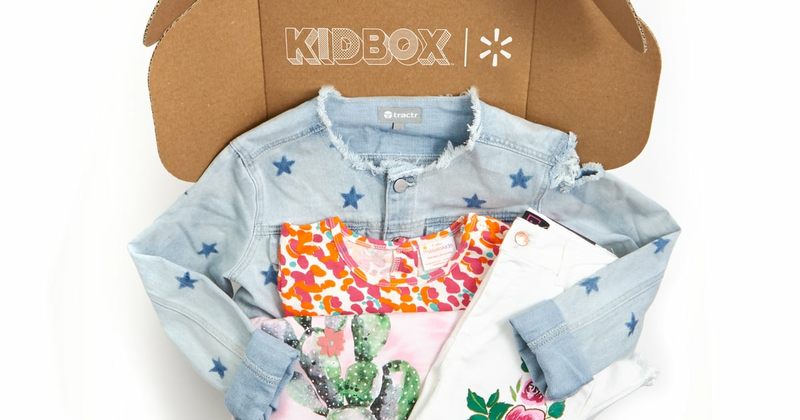 "We are thrilled to partner with KIDBOX to introduce our first kids' subscription apparel service offering premium fashion brands at a substantial savings," said Denise Incandela, head of Fashion, Walmart US eCommerce. "Over the last year, we have significantly expanded our portfolio of kids' fashion brands as part of our broader effort to establish Walmart.com as a destination for fashion. Our partnership with KIDBOX enables us to round out our offering with additional national and premium kids' brands." See how the easy and convenient KIDBOX process works ahead!